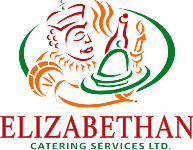 Corporate Barbecues - Elizabethan Catering Services Ltd. Most Barbecues are provided with a Chef, Propane Barbecue, Formally Attired Staff, Chinaware, Cutlery, Glassware, Linens & Meal Service Equipment.. Disposable Tableware is avaialble upon request. Please adivse your Sales Associate of your preference. Thank you.